Singer, Michael Bublé has announced his retirement from music following his son’s diagnosis of liver cancer. The Canadian crooner, who’s won four Grammys and sold over 75 million records, has said he’ll retire following the release of one final album next month. 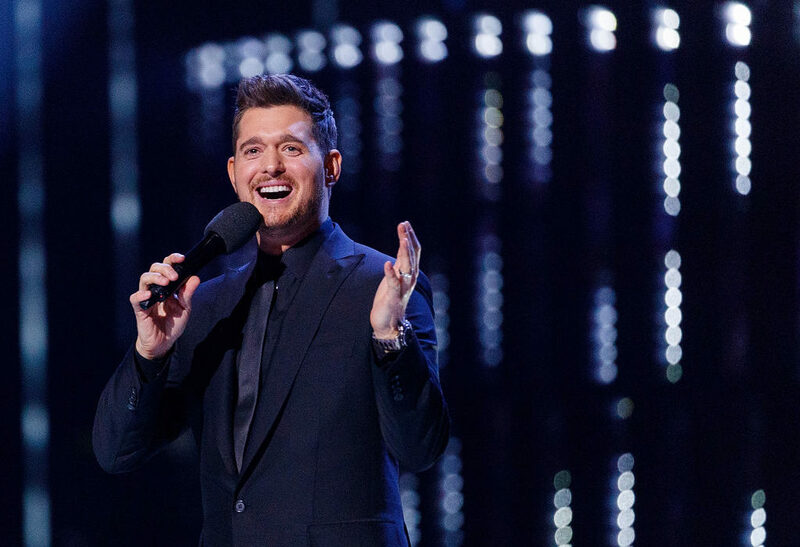 Wanting to concentrate on his family following his five-year-old son’s diagnosis two years ago, Bublé has said he’ll also stop doing interviews, as well as stop using social media. The star revealed the news in an emotional interview with the Daily Mail explaining he no longer ‘has the stomach’ to have a very public life. Going through this with Noah, I didn’t question who I was, I just questioned everything else. Why are we here? It’s been such a difficult exercise. It hurts me, and it hurts to talk about Noah because it’s not my story to tell, it’s his. But my whole being’s changed. My perception of life. I don’t know if I can even get through this conversation without crying. And I’ve never lost control of my emotions in public. Taking a two-year break as his son battled the cancer, Noah has now thankfully been given the all clear. Bublé admitted he did miss music, hence his decision to return with a new album, Love, next month. The two are inextricably linked, yet it wasn’t as straightforward as, ‘my son’s recovered, I should make an album’. But I missed the guys in my band. So once, when Luisana had to go back to Argentina I said to them, ‘come over to the house, let’s drink, order pizza, play video games and jam’. They came over, we partied and we said, ‘let’s play some music. I thought, ‘wow, this is fun’. It was then that I realised I’d missed making music. I didn’t even know I’d missed it. This was about a year ago. And so, Bublé began working on his next album which will be released in November. There are three reasons I wanted to do this album. One, because I felt a debt of gratitude, deeper than I can explain, to the millions of people all over the world who prayed for us and showed us compassion. That gave me faith in humanity. Two, because I love music and feel I can continue the legacy of my idols. And three, because if the world was ending – not just my own personal hell but watching the political turmoil in America and watching Europe break up – there’s never a better time for music. Whatever Michael does in the future though, we wish him and his family all the best. Bublé’s final album Love will be released on November 16 in the UK.